Verfasst von pw am Fr, 09/19/2014 - 14:35. ISTVÁN KEUL, Professor, Department of Archaeology, History, Cultural Studies and Religion, University of Bergen. Profile page. Keul, István (2014). 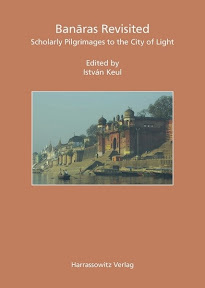 Banāras Revisited: Scholarly Pilgrimages to the City of Light. Ethno-Indology; 14. 283 S.